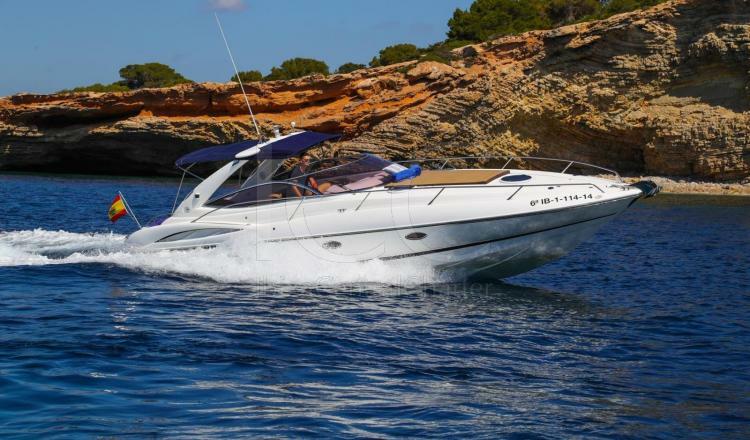 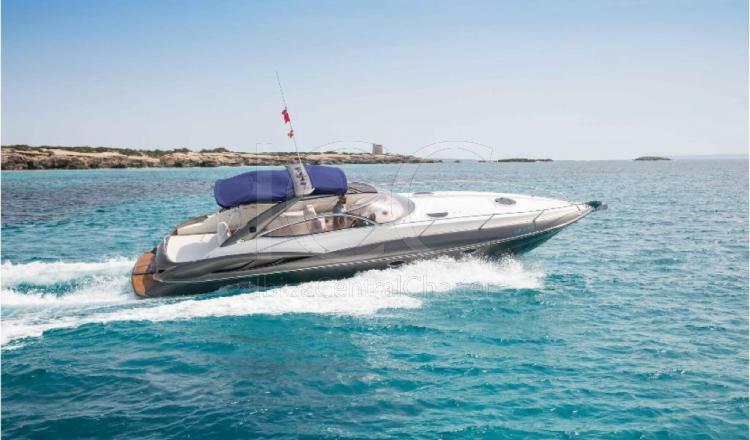 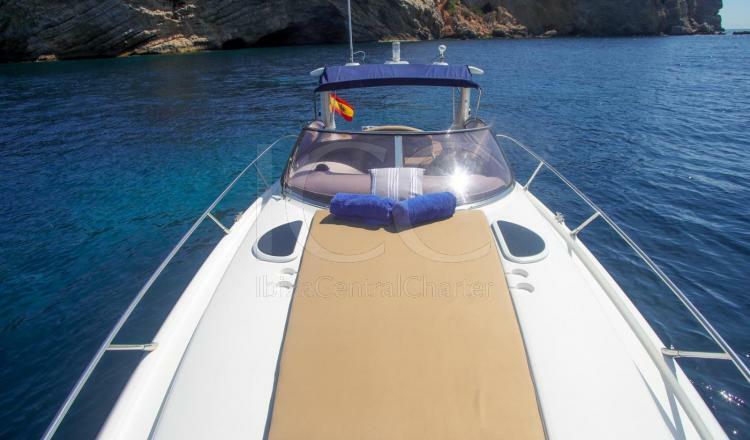 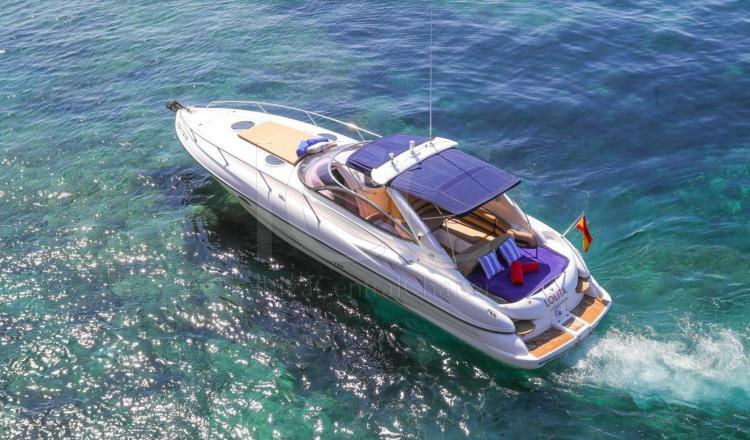 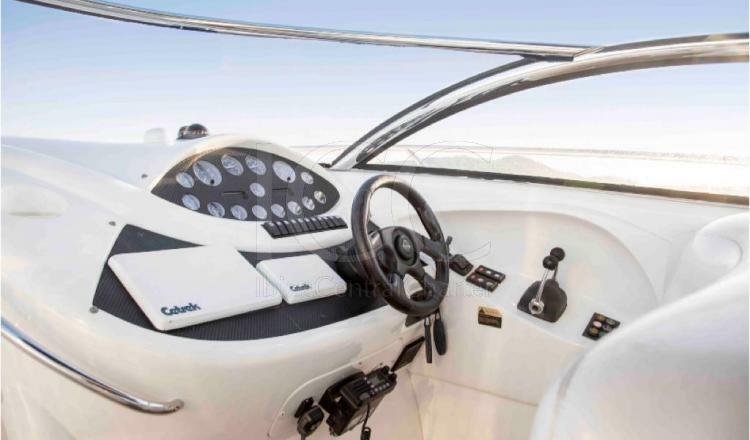 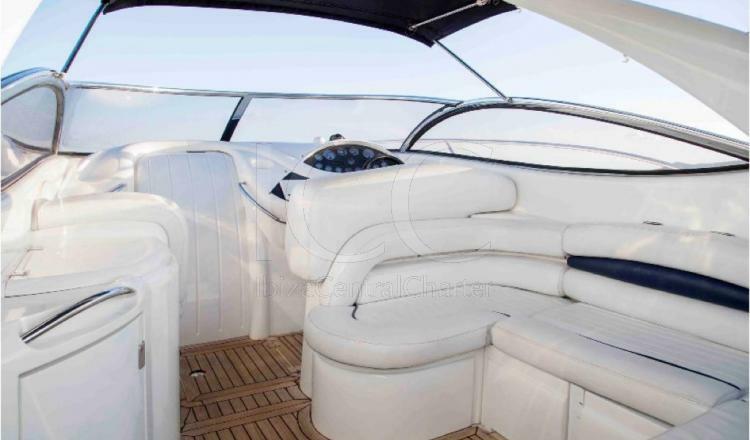 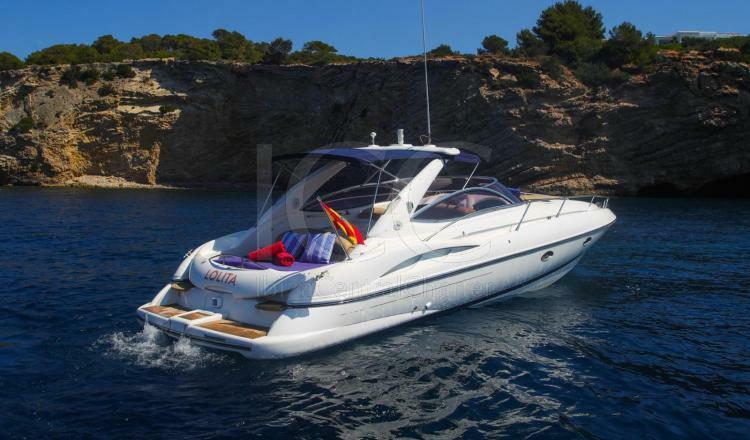 The Sunseeker Superhawk 34 is a yacht that always will be a trend for his design and comfort. 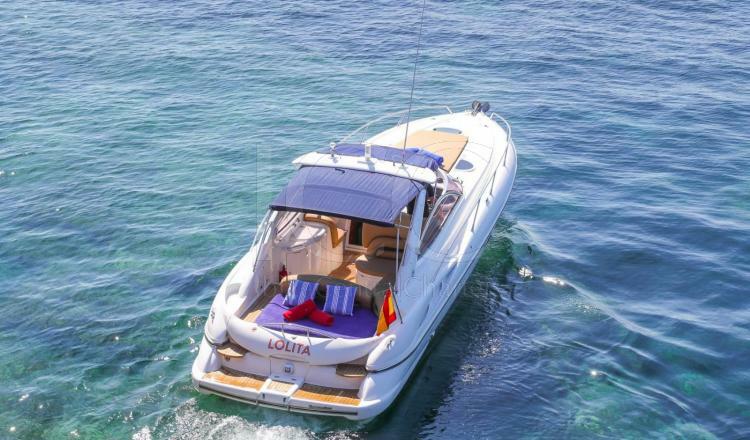 It offers you the opportunity to discover "Las Islas Pitiusas" embarking up to a maximum of 7 people and a skipper. 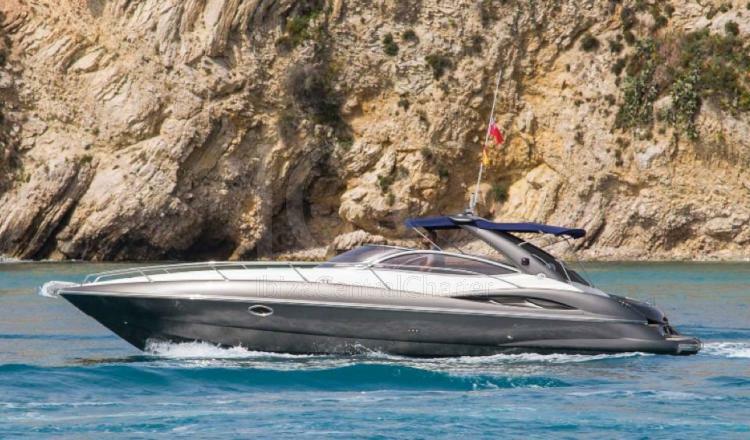 The Sunseeker 34 is made by carbon fiber turning it into a fast and agile ship capable of acceding every corners around the island. 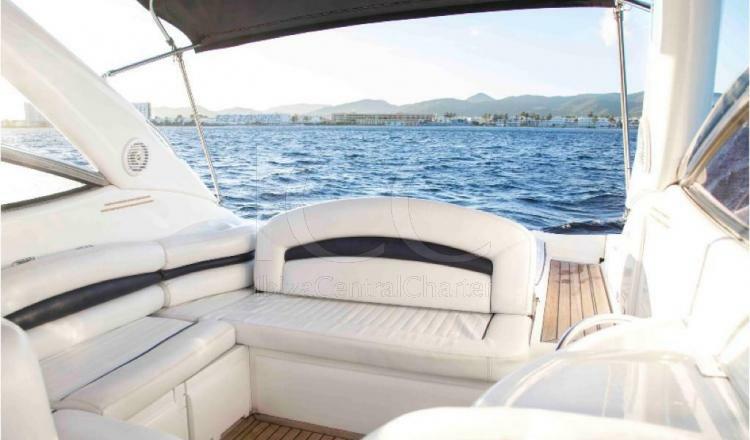 Being a ship of 11.34 m of length it offers facilities of great quality since he arranges tub protected by bimini, lounge with bathroom, cabin opened with queen size bed and two solariums placed in bow and stern respectively. 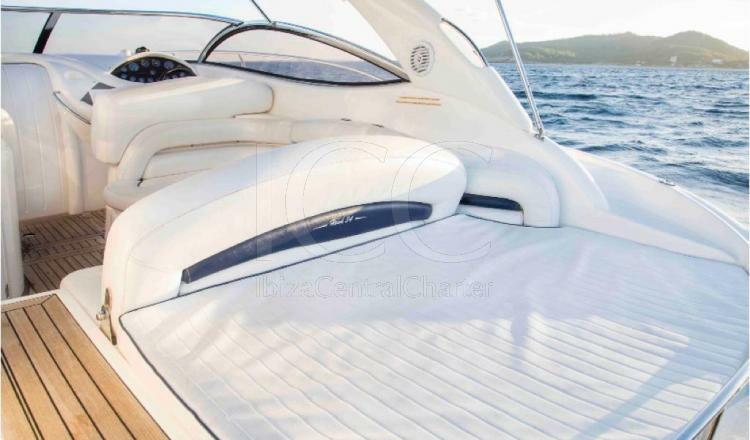 In addition our aim is improve your expectations for this reason we will provide you on board with water, refreshments and towels for comity and under request we can obtain another type of drinks or water toys (Padle Surf, SEABOB) or a catering. 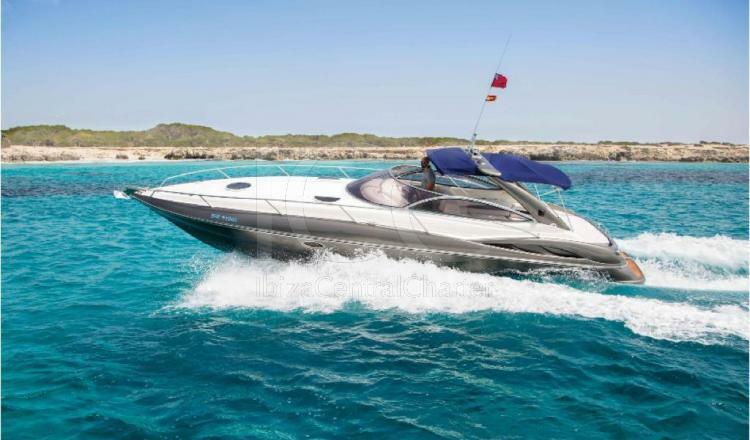 Available for excursions during the day with skipper included in the price, we listen your preferences in route to achieve an amazing experience and personalized for each customer.